Hey! I am a huge fan of sitting down in the sun, with my dog, and a good coffee. Actually, I am generally just a huge fan of cafes in general. So when I can combine them all, I am straight there. That is what the Yellow House Cafe offers in Whanganui. The Yellow House Cafe is not only an amazing coffee spot, but is also dog friendly! 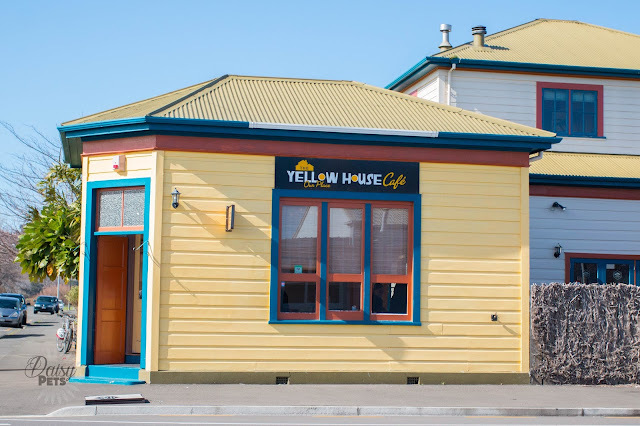 Located on Pitt Street, this yellow house definitely stands out. It is an old house, converted to a cafe and features lovely outdoor areas with lots of foliage. There is enough room in the outdoor areas for multiple groups and dogs, as well as having a sandpit for the children. Dogs are allowed to be in any of the outside areas of the cafe, and they also supply water bowls for any thirsty pup. 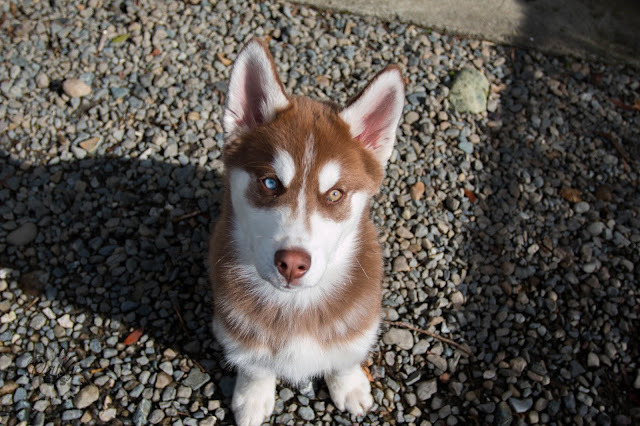 Hey, recently one of my old college friends got a beautiful husky puppy and of course I had to take the opportunity to get some cute puppy photos. He is super cute, and makes me miss having a little puppy. Although, it's nice to be able to give him back when he plays up! I was trialling out a new lens so I am not 100% happy with the photos unfortunately. Hopefully I will get the hang of this lens soon. Make sure you follow him on Instagram at @MancubMowgli_ to see him grow up! So readers, meet Mowgli. Hey! It has been a while since I last typed up a blog post, and I have definitely missed it. I have just had a bit of a writers block and every time I sat down to type, nothing came to my head or fingers. We have had Chico for about nine months now, and although he is becoming more doglike by the day, he has always remained aloof. Aloof is probably the best way of putting it. When you try and train him, he readily accepts the treats but doesn't look like he really understands why he has been given them. 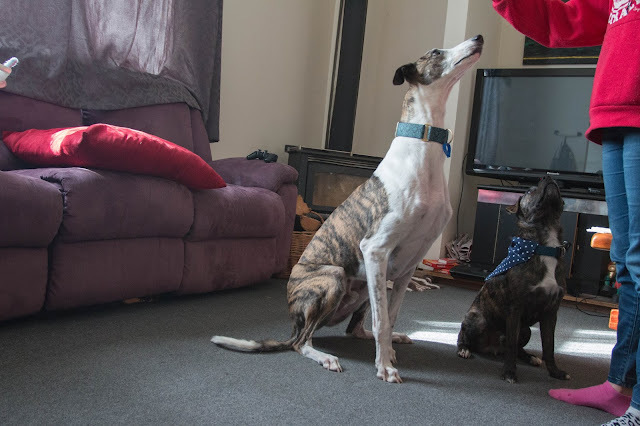 I spent a while trying to train him to shake one of his front paws, while standing. I ended up giving up cause I don't think he fully grasped the concept. My mother started to train him to walk backwards on cue, and he did learn it, although even then we wonder if he really knows what he is doing.